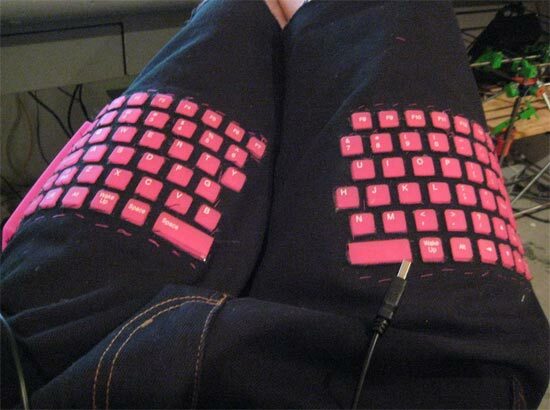 These have to be the ultimate geeky pants (OK we know they are shorts), the Keyboard Pants. The Keyboard Pants were made using a flexible silicone keyboard, and some jeans, only half of the keyboard works, which is pretty cool as you wouldn’t expect any of it to work after it was cut in half. 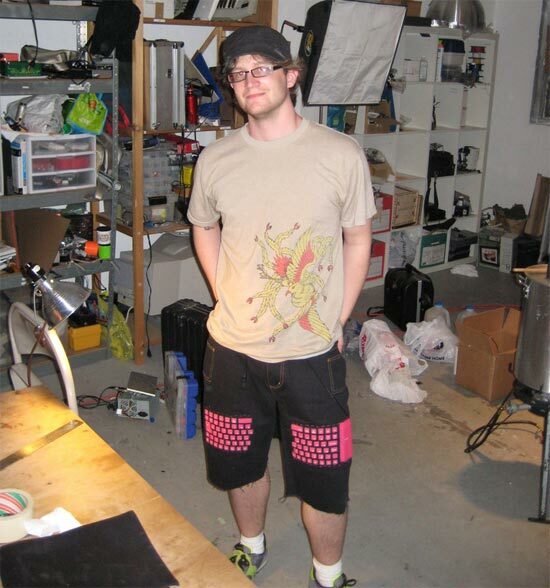 The basic idea was to take a flexible silicone keyboard and somehow integrate it with some pants (or shorts). very cool! If you want to make your own Keyboard Pants, there are full instructions, including all materials you need over at Thingiverse.